Read the latest news articles about hearing science and health. Advanced Hearing Care opened in 2006. Dr. Stephanie Moore has firmly established Advanced Hearing Care as Bartlesville’s preeminent audiology and amplification practice. Dr. Moore and her professional staff provide the full range of hearing services from testing to fitting corrective devices for patients of all ages. This local practice has received the Best of Bartlesville award for 9 years and was voted Best Small Business of the Year 2015 by the Bartlesville Chamber of Commerce. What we often discover during the Four-Step Process with our patients is that the most appropriate solution for a particular patient is either a Hearing Protection Device or an Assistive Listening Device. These lower-cost alternatives provide limited help for specific situations but are often the best solution possible. Advanced Hearing Care has been hand-selected by the largest member-owned organization in the hearing care industry, Audigy Group. As an AudigyCertified™ practice, we share in their mission to deliver unsurpassed patient satisfaction, excellence through continuing education, effective analysis and diagnosis of your hearing condition, and customized treatment solutions for each individual and unique hearing loss situation. Because we are AudigyCertified™, you can be assured that we are raising the standards of hearing care. We are Experienced Professionals who give Expert Advice and work with today’s most Extraordinary Technology to provide our patients and their loved ones with Excellent Service at an Exceptional Value. 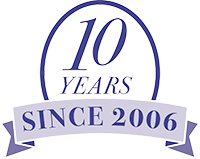 Dr. Stephanie Moore first opened the doors of Advanced Hearing Care in 2006. Since opening, we have been dedicated to providing Bartlesville and the surrounding areas with the best possible hearing care. This dedication was recognized by Audigy Group in 2009, at which point we were selected as an AudigyCertified™ Practice. As we continue to grow, our patients can rest assured that we are always available to them for their hearing care needs. Visit our page with more videos and learn more about us. Don’t miss the sound of life. Having healthy hearing is essential for a full and active life. Exposure to excessive noise during work or leisure activities can increase a person’s risk of hearing loss and potentially worsen a pre-existing hearing problem. Continuous exposure to 85 decibels (dB) can have a detrimental effect on your hearing. Take for example, the noise of a street with constant heavy traffic. In a day and age when almost any information a person can want is found on the internet, it can be really confusing to be an educated patient when it comes to your hearing health care. Advanced Hearing Care follows HIPAA’s regulations by posting The Notice of Privacy Practices. Please review and contact us if you have any questions. Have you come to receive treatment, consulting or hearing aids. Did your visit meet (or not) your expectations. Do you have praise or constructive criticism? Is there anything we can do better? Do you like to share your experience with us and others?